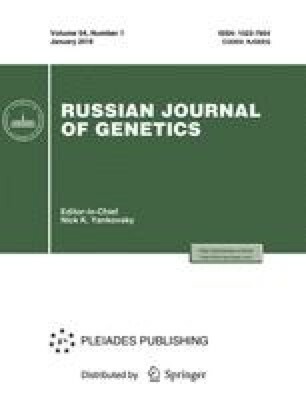 The effect of methyl supplements to the diet of pregnant homozygous (AAHH) female rats with agouti coat color mated with homozygous (aahh) males on the phenotypic modification of the coat color of their heterozygous offspring (AaHh) has been studied. Comparative morphological analysis of the main parameters of hair that determine coat color, including the total length of hairs of different types and the length of the upper black (eumelanin) and light (pheomelanin) parts of awn hairs has been performed. The pattern of pigment granule distribution among hair layers has been analyzed. The melanin content of the hair has been determined using electron spin resonance (ESR). Although all offspring have a typical agouti coat color (alternating black and light portions of hair), 39% of them have a darker coat color than control and other experimental rats have. The main differences between the offspring with darkened and standard coat colors are accounted for by the ratio between the eumelanin and pheomelanin portions of awn hairs. In darkened offspring, this ratio is significantly higher than in control rats. The possible mechanisms of the phenotypic modification of agouti coat color in experimental animals are discussed. Original Russian Text © L.A. Prasolova, L.N. Trut, I.N. Oskina, R.G. Gulevich, I.Z. Plyusnina, E.B. Vsevolodov, I.F. Latipov, 2006, published in Genetika, 2006, Vol. 42, No. 1, pp. 78–83.